We carry only the top boiler feed pumps in NY. 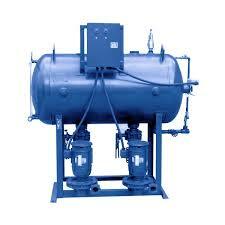 A boiler feedwater pump is a specific type of pump used to pump feedwater into a steam boiler. The water may be freshly supplied or returning condensate produced as a result of the condensation of the steam produced by the boiler. It controls the amount of water that is fed along with the manner in which it is fed.